Quite a few games not unlike My Time at Portia have come to Xbox lately, and though they each bring something different to the genre and are often enjoyable, none of them offer the freedom or the depth that Pathea Games' new release impressively does. To call it a "farm life" game, as I admittedly had been for over a year now, seems off in retrospect. Portia's focus can be on farming if you so wish it to be, but it's also highly adaptable and gives players the blueprints — often literally — to build their own lives in Portia however they see fit. The introduction to My Time at Portia begins how so many similar games do. Your custom character is a new arrival in the colorful titular town and after inheriting land from your father and meeting with some of Portia's top brass, you're dropped into a land ripe for your exploration. 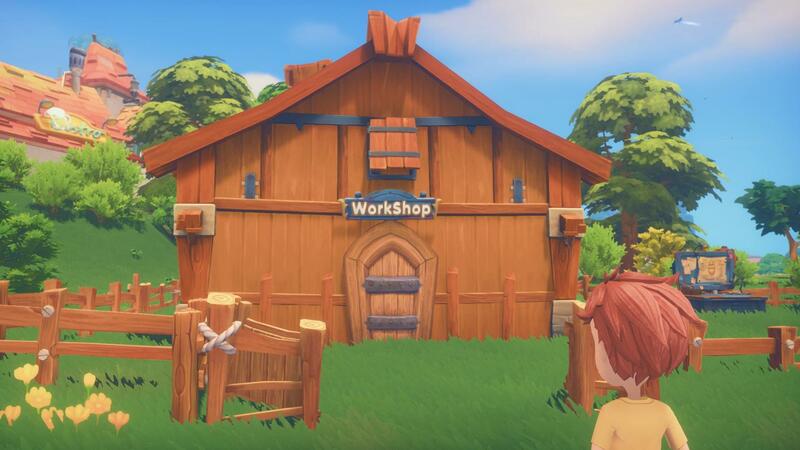 The game's central premise, if it has one, could be this home/workshop you've been gifted. Maintaining it, expanding it, and commissioning work will keep you afloat in town and you'll always have the option of chasing the next cool blueprint or reward. 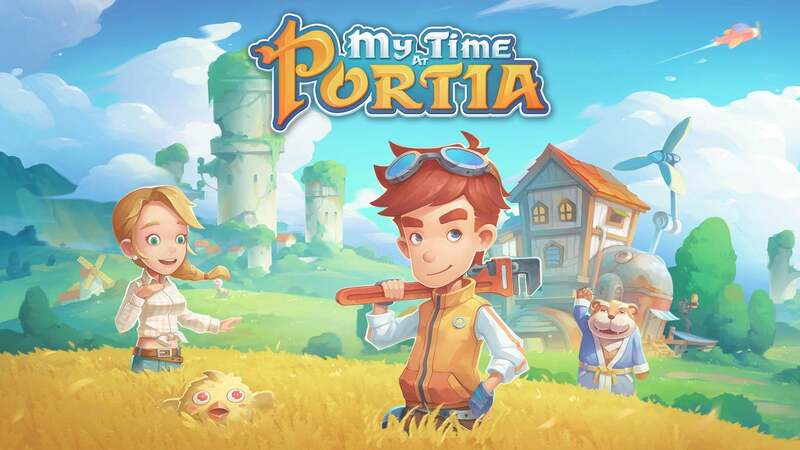 Simple yet unfamiliar tasks fill much of the earliest hours in the game, and though its many menus feel daunting at first, Portia has this impressive way of easing you into it once you learn its language of sometimes complicated UI and imperfect controller layout. Just when you've learned how to most efficiently gather a particular resource or quickly craft a major story item, several more become available. This carrot-and-stick approach rivals some major AAA games in addictiveness, and it's hard to put Portia down once you jump back into another session. There's so much to do in My Time at Portia and it's really the kind of game where you don't have enough in-game hours in a day — literally, you'll pass out where you stand if you stay up until 3 am. Your inherited workshop is a fixer-upper on day one, but you can expand it to be the most elaborate building in all the land. For a good while, I wasn't sure if I was playing Portia the "right way," but eventually I realized the game was happy to let me steer my own ship and this is its best attribute for sure. Constant missions, world events linked to the calendar, and timed commissions all teasingly sit in your notebook, never leaving it totally blank — but it's also fine to delay or reject all of that stuff and just stroll around town. I spent many in-game days doing nothing but mining as I found the rewards interesting and the terraforming oddly satisfying. Trading goods with other shopkeepers, chatting or playing mini-games with your neighbors, and even striking up romance are all available with few limitations. If you want to focus only on improving your workshop and living space, you can do that. If you want to get married, cheat on your spouse, and get divorced, you can do that too. If you just want to focus on missions, that's of course an option too, though you'll regularly need to chase down the next set of upgrades for your next project, but as busy as your days can be, virtually everything feels worthwhile. You can also assist the science center with their research into Portian ancestry, help the local church spread their message, or head off into hazardous dungeons. I list these activities like this to illustrate just how much freedom one has in Portia. This isn't all you can do and the game is generally happy to let you do whatever you'd like. Provided you have what you need for your task at hand, there aren't really any other barriers. More than any other game of its kind, My Time at Portia makes you feel like a proper resident. Combat areas are worthwhile given the rewards, but the combat is actually a low point for the game. Despite the unexpected depth to be seen in the extensive skill tree, status effects, and plenty of options to build a character for the combat, actually getting in there and doing damage feels button-mashy to the point where it becomes just a war of attrition. If you can corner and spam enemies faster than they can deplete your HP, you've won the battle. All the modifiers you elect to use can be decisive, but it never feels great or looks good. 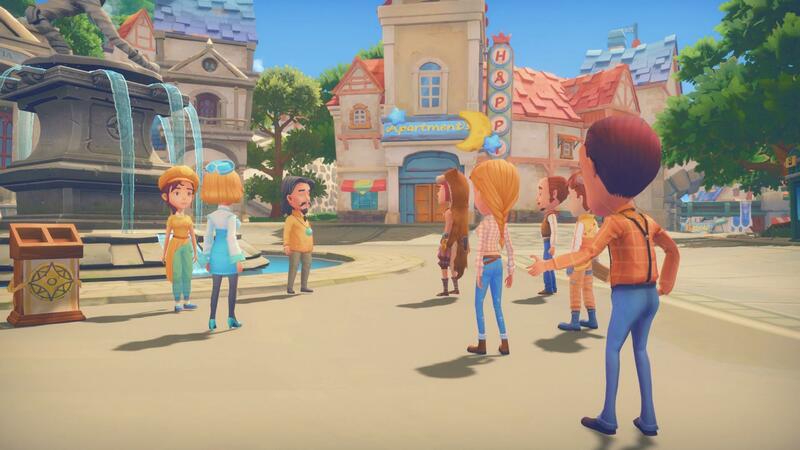 Animations in general aren't Portia's strong suit, as most things feel decidedly simplistic, from jumping to roll-dodging to chopping trees and everything else. Hit detection is janky, though not really unreliable, and the game undeniably lacks polish in these regards. NPCs were often seen running into walls too, and framerate stutters were common. I even lost the ability to complete a timed side mission due to a bug, and given how many missions there are in the game, I expect I'll see more. The game's flaws are largely related to its lack of polish. To be fair, it never feels like a game released prematurely, only a game that tries to do so much and comes from a small team. Still, the issues persist regardless of how much one may empathize with an indie studio. These issues ultimately don't hinder all the good My Time at Portia brings to the genre, however. It's a lot of fun to wake up in a home you've built and furnished yourself, walk outside to your elaborate workshop where, if you're efficient, several overnight projects are already ongoing, head into town to greet your friends, neighbors, and rivals — all of whom track their relationships with you individually — before clearing a dungeon for higher tier loot, resolving a townwide dispute, and preparing for tomorrow's fishing tournament. While it isn't the most refined experience in the growing genre, My Time at Portia is certainly the most ambitious game of its kind. Thankfully, all that ambition is aided by a lot of fun with far fewer hiccups than one might anticipate. Portia's denizens are always up to something, and the calendar offers fun events each month. The achievement list will take an estimated 80 hours for a completion because there's a lot to do. Most of it isn't missable, it's just that you'll have to focus on different areas each for a long while, like get married, become a top workshop, complete many commissions, and much more. It's a list that gives some attention to every area of the game, even if players aren't the type to do the same. I should mention in my time with the game several achievements didn't unlock as they should've, but this seems to have been due to a common pre-launch problem which reviewers sometimes bump into and it doesn't seem like these achievements are unobtainable. My Time at Portia tries to do so much at once and impressively gets most of it right anyway. 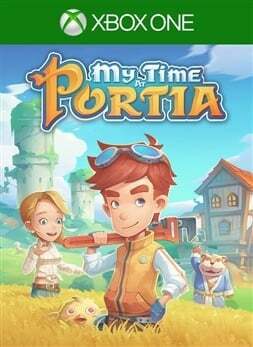 This kind of scope tends to sink an indie project, and though its budget can be seen in an overall lack of refinement and polish, Portia's greatest attribute is its wide-ranging freedom given to players. It provides you with several avenues to explore and doesn't mind letting you design the timeshare. Creating your own play style is encouraged throughout, from the three-pillared skill tree to the relaxed mission structure, the game indirectly asks "what do you want to do today?" To that end, it makes suggestions but rarely demands, leaving the promise of a brand new day in the colorful and quaint town of Portia entirely in your hands. The reviewer spent approximately 27 hours in Portia, often alternating between working in the mines and winning Sonia's affection. A review code was provided by the publisher.